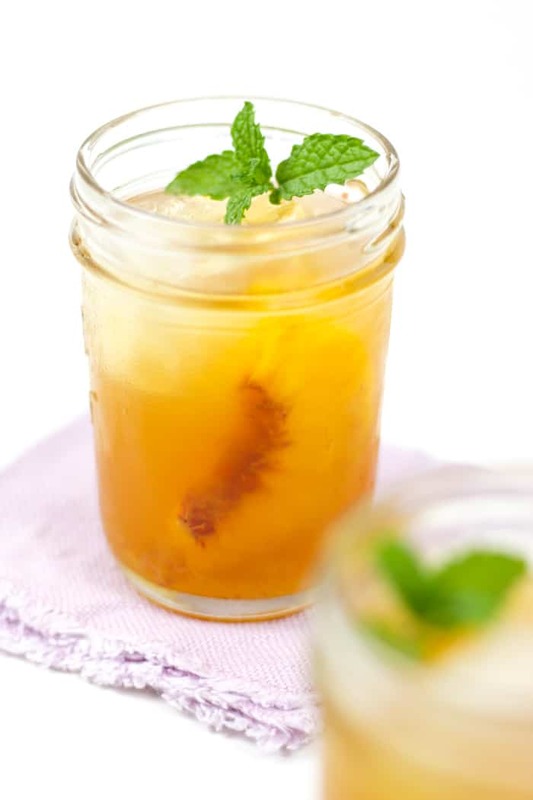 Savor the end of summer with a Ginger Peach Bourbon Smash. 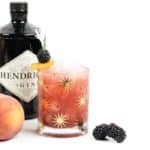 Muddle together an easy honey ginger simple syrup, juicy peaches, warm citrus and oaky bourbon, and toast to the last days of warm weather. The other night I had a dream that someone scolded me for wearing white pants and white flip-flops the day after Labor Day. This is bizarre for a few reasons. For one, I probably wouldn’t wear white pants. I try to never say never. But I really probably would not. Second, I don’t think I own any white shoes. Unless flats with dalmatian spots count? And third, what is the big freaking deal with Labor Day anyway? These old wives tales of bad luck have never made any sense to me. I know that Labor Day is supposed to signify the “end” of summer, but it’s not officially over for another 2.5 weeks. And here in North Carolina, it’ll be warm until mid-October. I like fall as much as the next person, but why do we wish summer away? It will be cold before we know it. The last days of summer are upon us, and I plan to milk every moment. I need more time in the pool. More evenings watering my vegetable garden. More thunderstorms. More summer fruit. More ice cream. More popsicles. And definitely more cocktails. 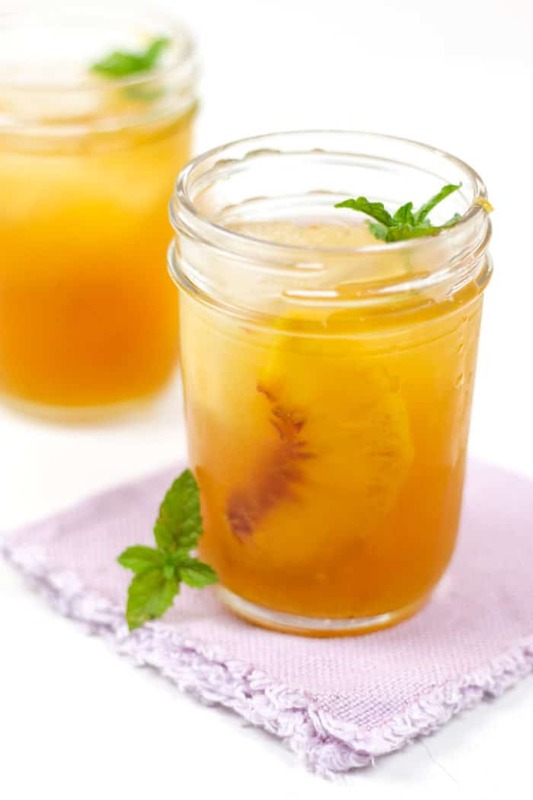 In an effort to savor this warm weather, I’m looking for any juicy peaches I can get my hands on, so I can make all the drinks. 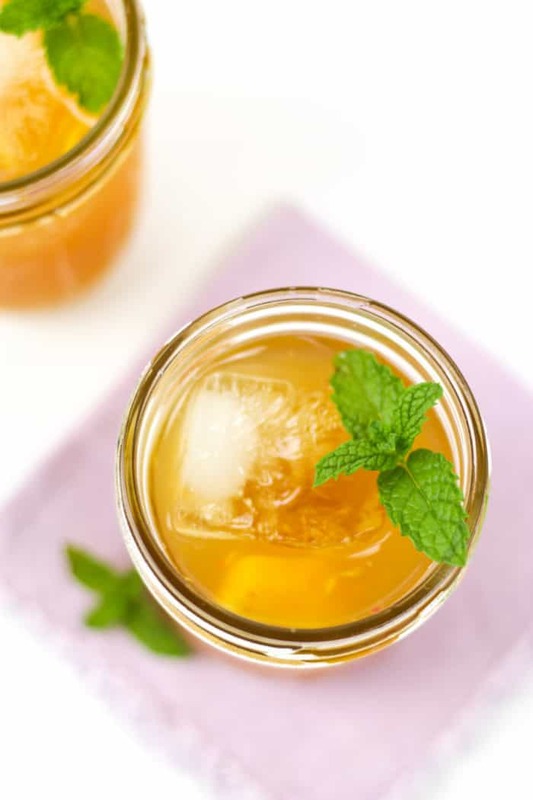 This Ginger Peach Bourbon Smash features a honey ginger simple syrup, a few smashed peaches, fresh lemon juice and bourbon. 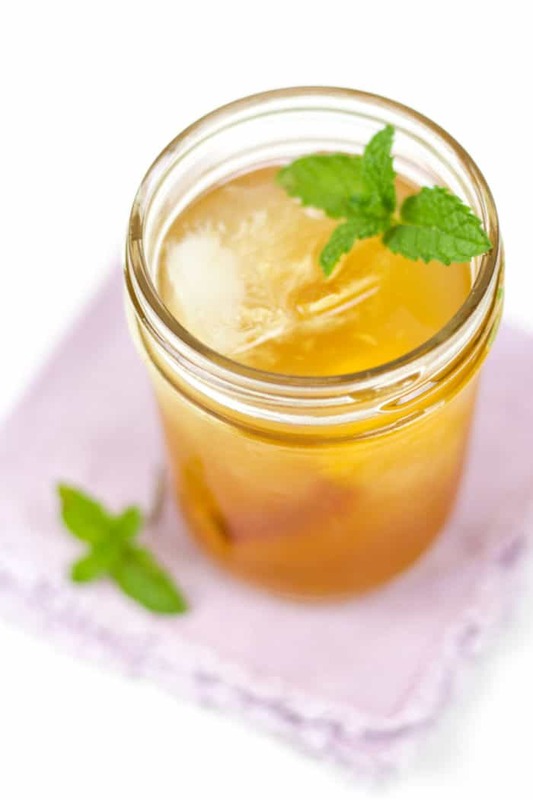 This is the kind of drink that celebrates summertime, but pushes you into fall flavors. 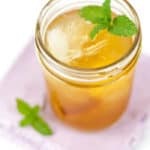 This cocktail tastes like sitting on the front porch. I bought a cute rocking chair for our front porch this summer, and that’s my favorite spot to watch the sunset, cocktail in hand. 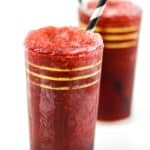 So, with Labor Day behind us, let’s get out our muddlers and cocktail shakers and let’s make cocktails. Good to the very last drop. In a saucepan over medium heat, stir together sugar and water until sugar has dissolved. Stir in ginger. Bring to boil for 2 minutes, then remove from heat. Stir in honey until combined. Let mixture cool completely. Strain mixture into a glass jar. Seal tightly with a lid. Store in the refrigerator for up to 1 month. 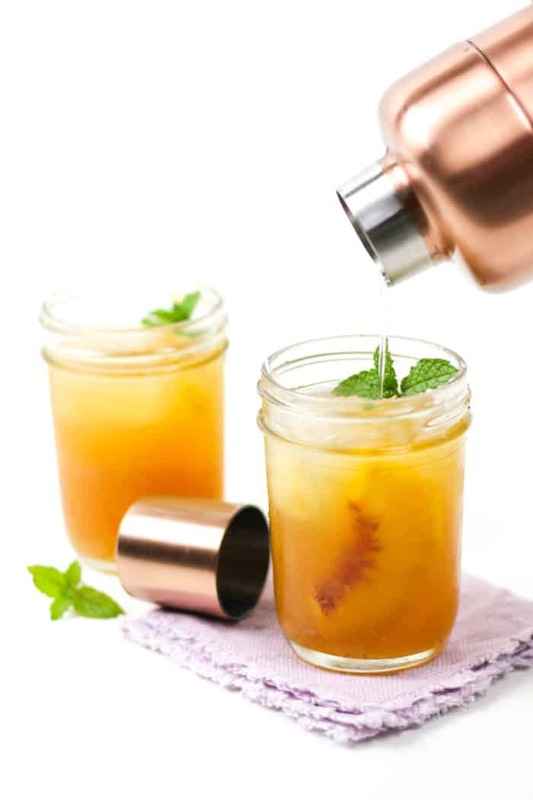 In a cocktail shaker, muddle the simple syrup, peach slices, and lemon juice. Smash the peaches to release the juices. 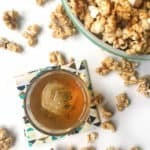 Add bourbon and ice. Shake vigorously. 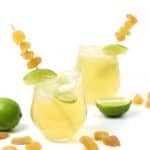 Pour into 2 jars or rocks glasses filled with ice. 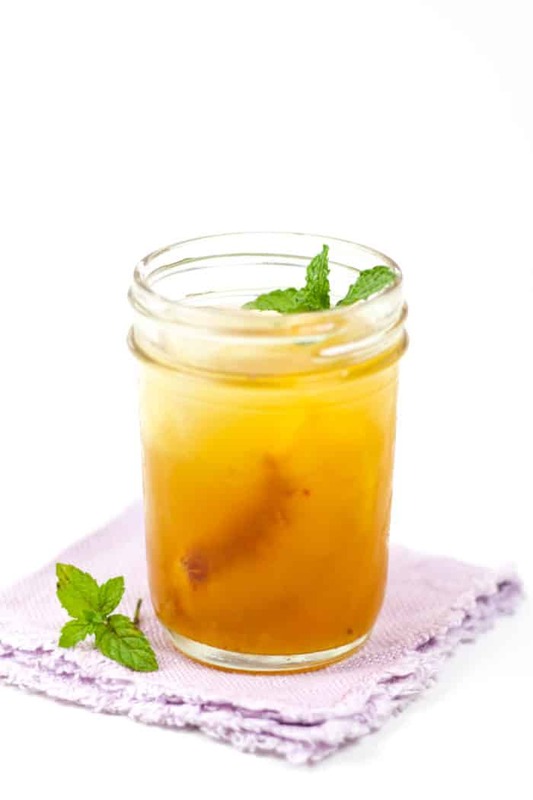 Garnish each glass with a slice of peach and a mint sprig.